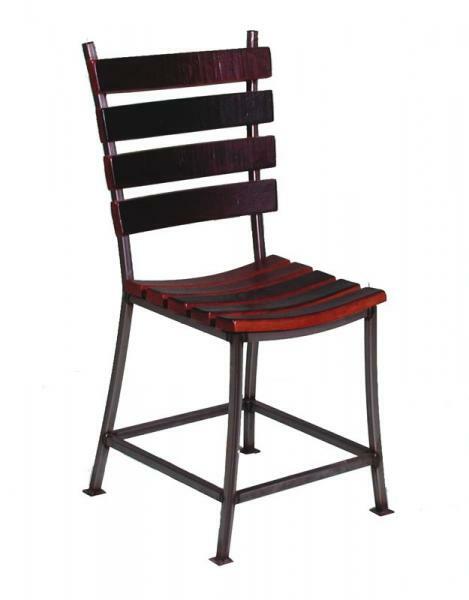 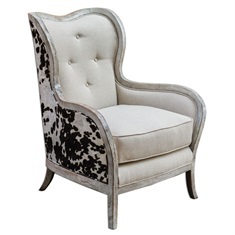 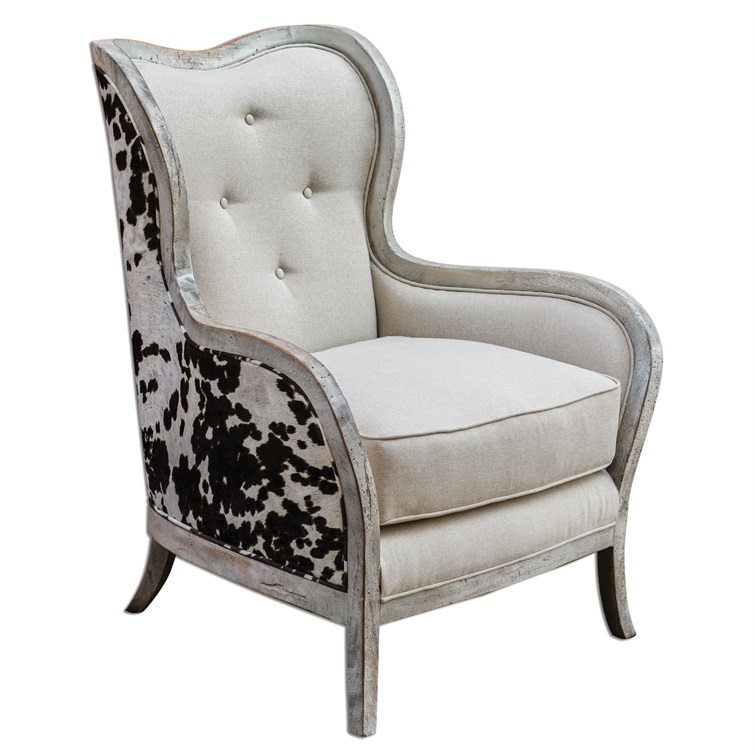 Cozy Barrel Back Tailored In A Pewter Flame Stich Woven Polyester Which Gives It A Soft Touch While Being Durable. 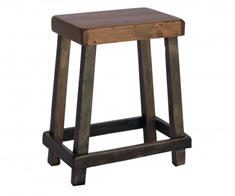 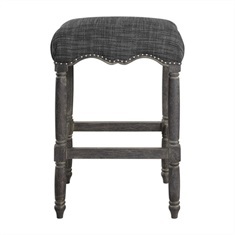 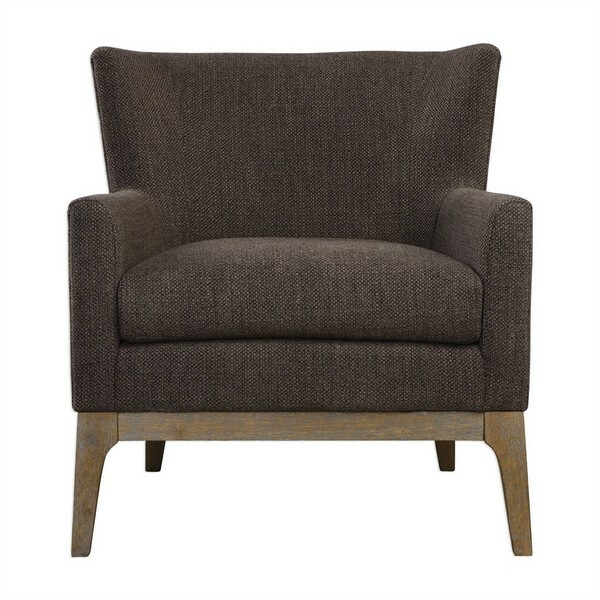 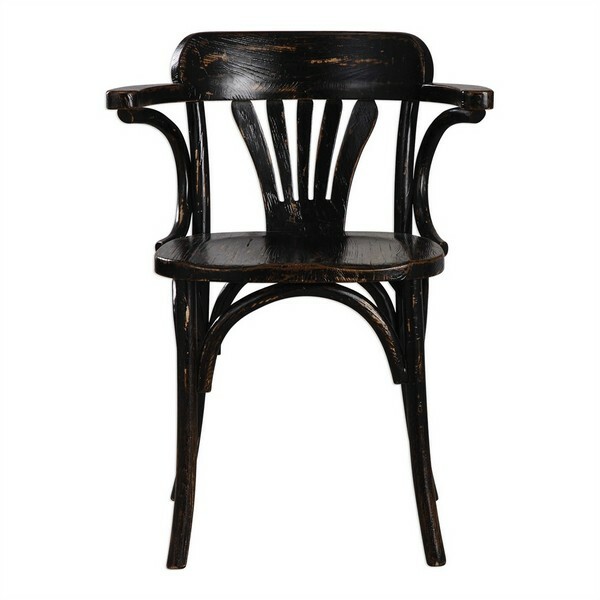 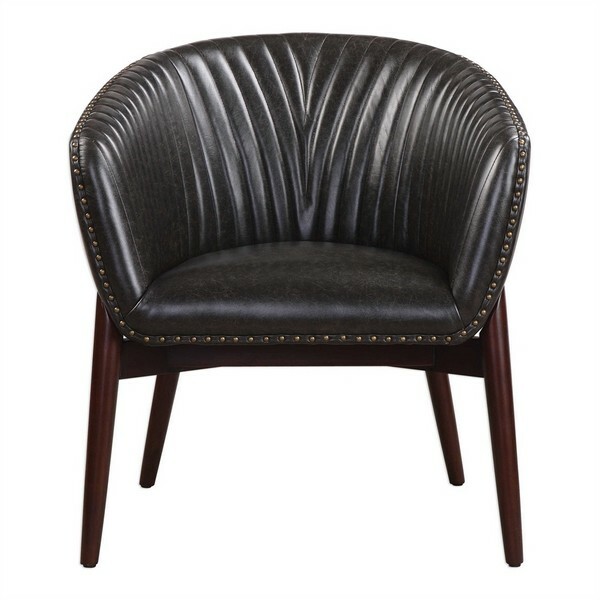 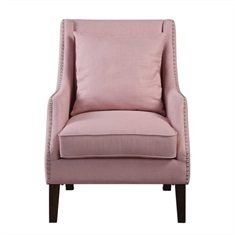 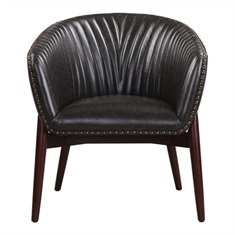 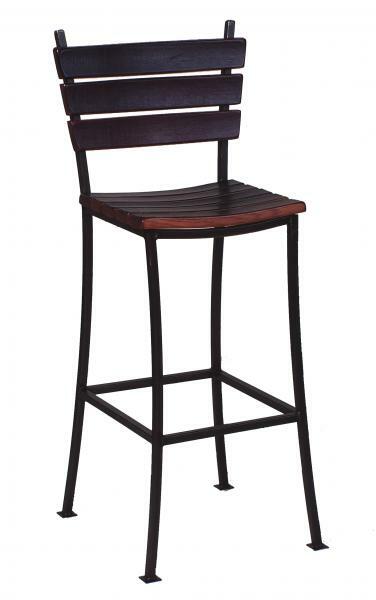 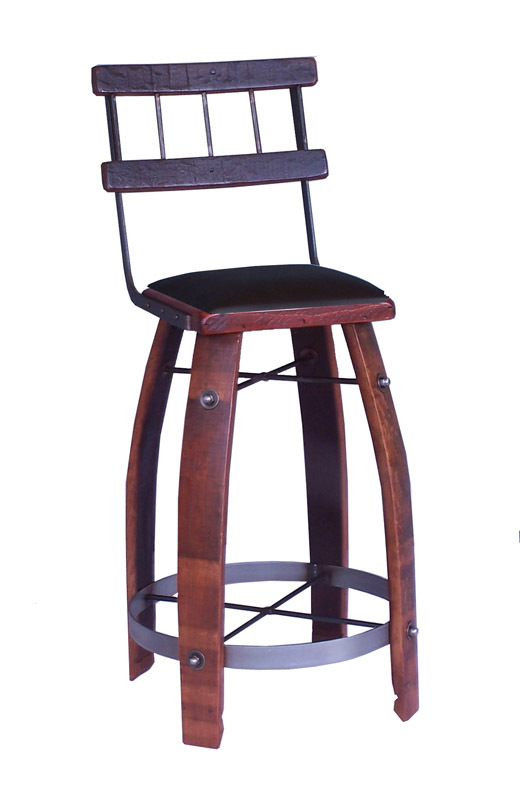 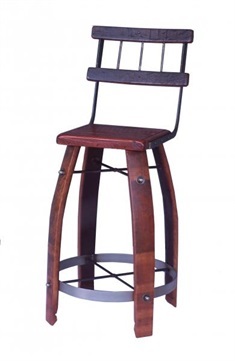 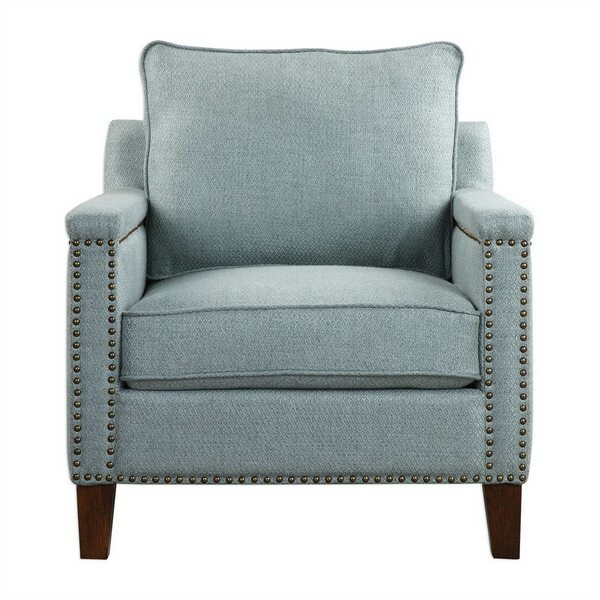 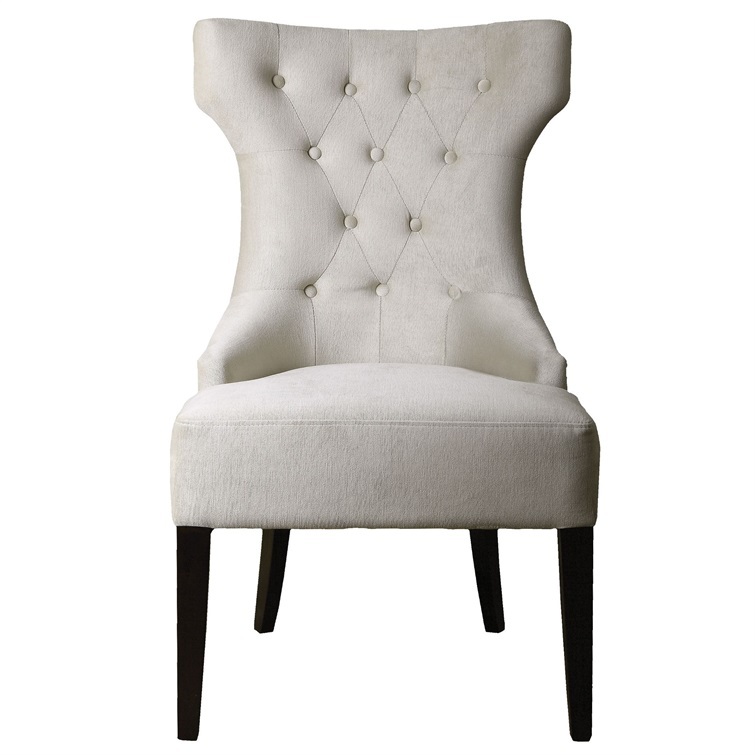 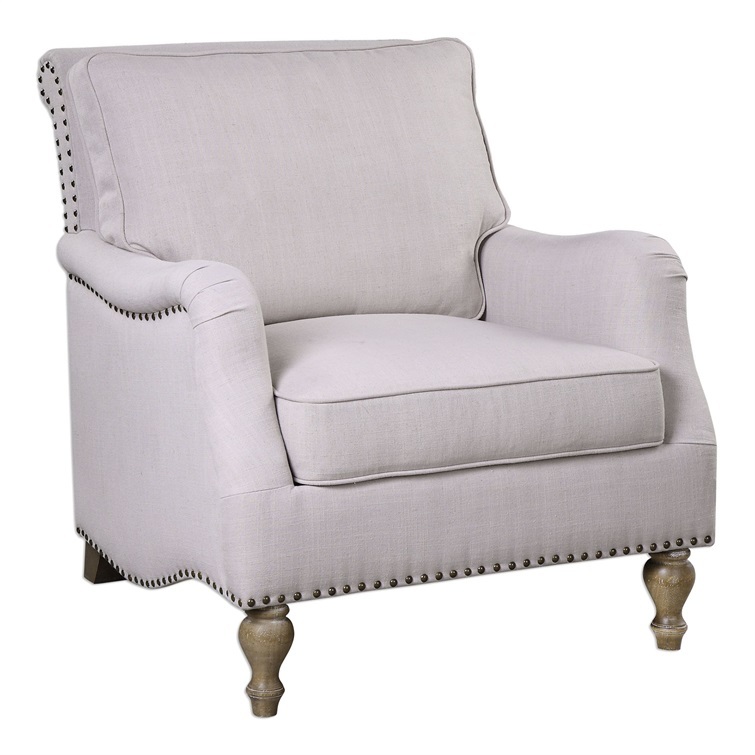 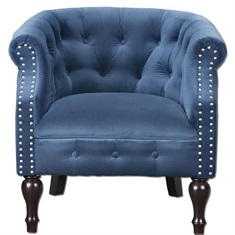 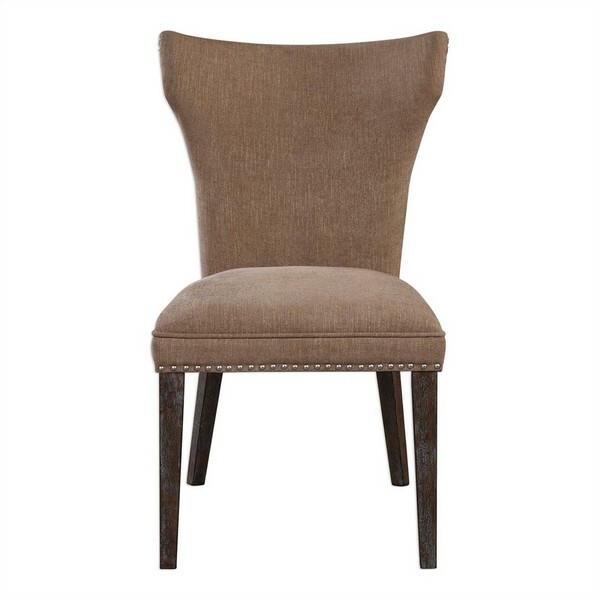 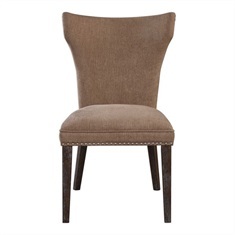 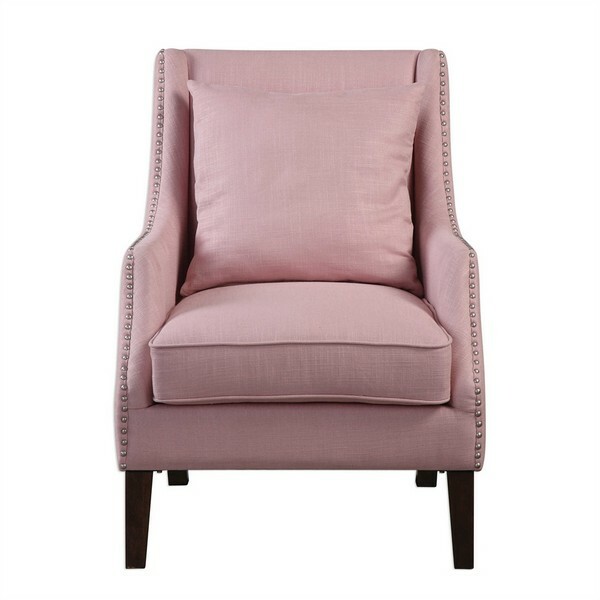 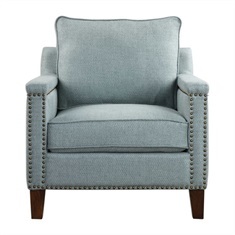 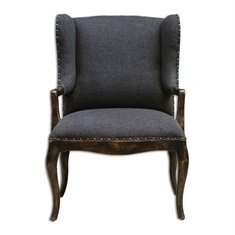 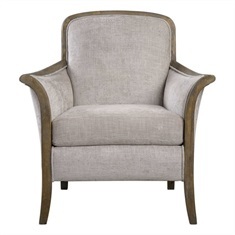 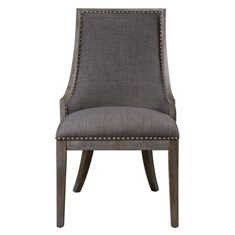 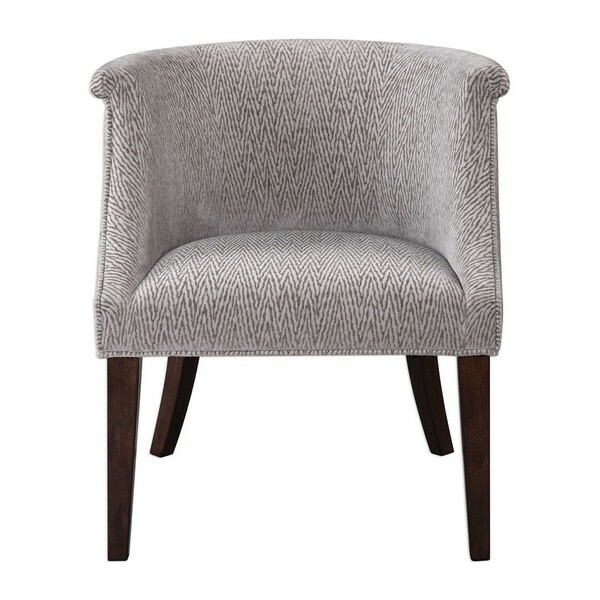 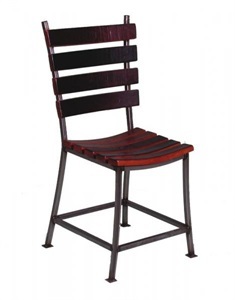 Styled For A Modern Clean Feeling With Simple Welting And Tall Dark Hickory Stained Legs. 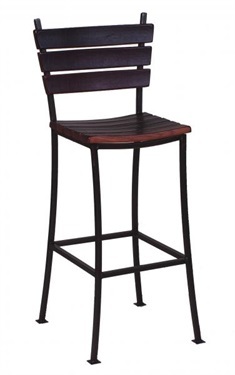 Seat Height Is 19.5”.